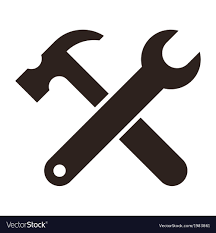 This entry was posted in Management Pack, SCOM 2016, SCOM 2019 and tagged #SCOM, 2019, management pack, windows server on April 4, 2019 by Warren Kahn. This entry was posted in #SQL, SCOM 2019 and tagged #SCOM, #SQL, 2019 on March 28, 2019 by Warren Kahn. This entry was posted in Management Pack, SCOM 1801, SCOM 2016 and tagged #SCOM, dns, management pack on February 6, 2019 by Warren Kahn. 1.Dell EMC PowerEdge Servers-using license-free monitoring, and license-based monitoring using iSM. 4.Supported Dell EMC devices through OMSA or iSM based on your requirements. -View, analyze, and resolve alerts using Knowledge Base (KB) articles. -Perform various tasks on the discovered Dell EMC devices. -View reports for discovered Dell EMC devices. 2.Discovery of devices and overrides through Appliance. 3.Synchronize all Dell EMC devices discovered in the enrolled Operations Manager environment with OMIMSSC. 4.Supports Discovery, Health Monitoring and Alerts for Dell EMC Network Switches of S, M, N and Z Series. 5.Discover and Monitor OpenManage Enterprise – Modular. 6.Supports OpenManage Enterprise – Modular alerts. 7.Supports OpenManage Enterprise – Modular performance metrics. 8.Server and Chassis Performance monitoring graphs View. This entry was posted in Management Pack, SCOM 1801, SCOM 2016 and tagged #SCOM, 3rd party, dell, management pack, server on February 5, 2019 by Warren Kahn. • Fixed bug: Problem with DNS Zones Discovery for large number of zones. • Fixed bug: Problem with stub zones discovery. • Fixed bug: False alerts for “DNS unused Zone Detected”. • Introduced support for Windows Server 1709+ operating system. versions of the operating systems: Microsoft Windows Server 2016 and 1709+. This entry was posted in Management Pack, SCOM 1801, SCOM 2016, Uncategorized and tagged #1801, #2016, #SCOM, dns, management pack on February 1, 2019 by Warren Kahn. 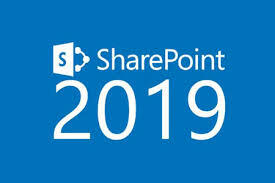 This entry was posted in Management Pack, SCOM 1801, SCOM 2016 and tagged #SCOM, management pack, sharepoint on January 28, 2019 by Warren Kahn.